White cotton covering with delicate embroidered mouse detail. 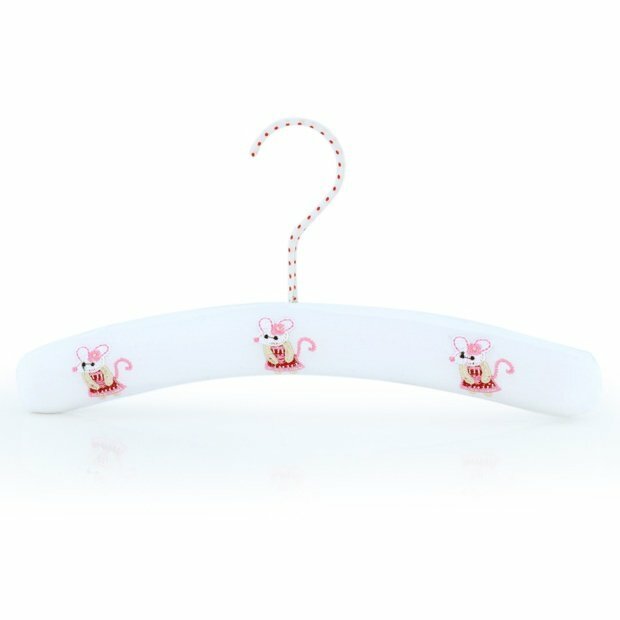 Hanger hook covered in white with pink polka dot satin, finished with pretty pink ribbon bow. Strong internal bar with plenty of padding. My daughter loves these & they look so pretty.